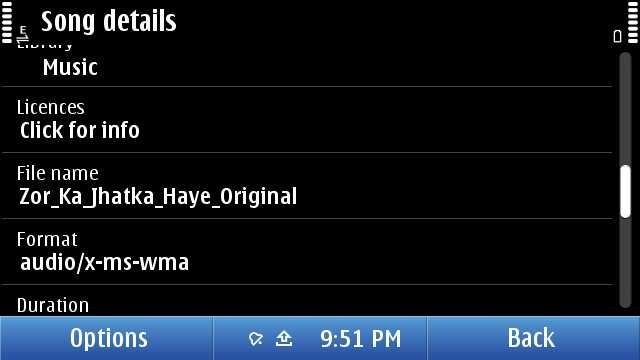 Layman’s take on Nokia N8 been through three parts so far. This thing is too big to be handled in one at least in my ways. Thanks for all the support shown by readers out there writing to me. Feel great, when you say that it looked real and common man perspective. That’s what it always about. Really wanted to say sorry to all readers as there has been insanely long delay due to some personal reasons though meanwhile I tried to fill in with short posts. But this was always in my mind as a guilt pending. Check out if you might have missed last three, I hope they worth it. While the earlier parts were kind of routine ones, here comes the fun part of Nokia N8, Multimedia, maps and gaming capabilities. In this part, I will take a look over Multimedia part. Every flagship speaks a language of its own and with every new device of yours, you need to find something big to show off. Something different from others, something that makes an instant connection. 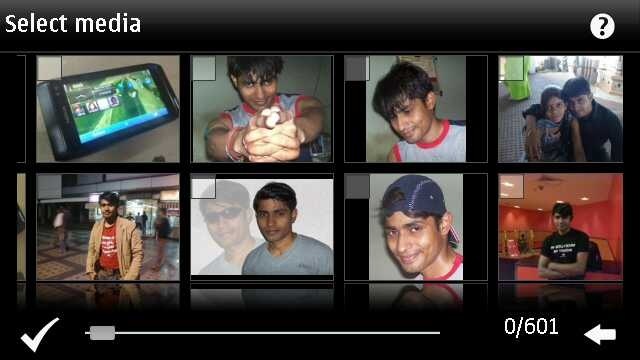 With Nokia N900, it was the integrated IM into contacts, while with Nokia N8, the show stopper is the awesome cover flow. 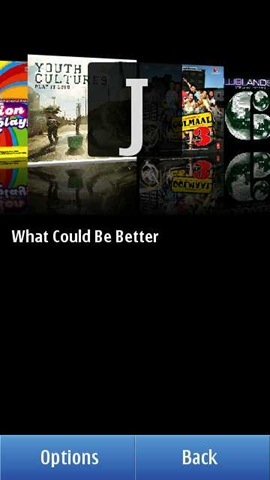 This cover flow on Symbian^3 runs so smooth that one can even ask iPhone or Android users that how easily it pushes theirs off the top. 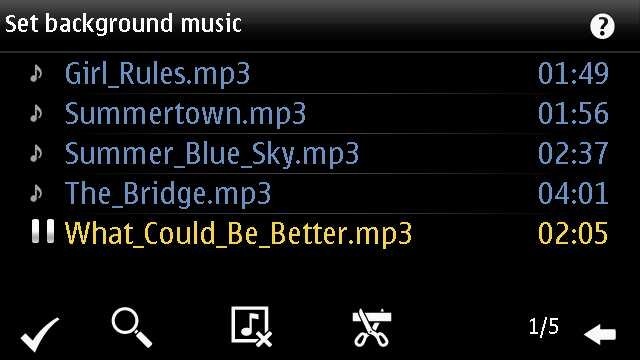 I bet if each and everything of Symbian may go this smooth and awesome looking, then no one wont even dare to say anything against it ever. While people keep on looking over UI part only, they must also consider that how smooth it operates and how much types of media it supports. Being similar to those of earlier in looks doesn’t mean that its the same. There are hundreds of sorting algorithms available in programming world to give the same output, is that mean all are the same? When in landscape mode, then the cover flow arrives by default or if someone might have messed with the settings, then you should choose Artists and Albums from options at bottom left after tapping the arrow key on the right top. Touch any album and you will get a pop up in the middle of the screen with the choices of songs from that album or just shuffle the album songs to play. Finding the cover flow in the portrait mode takes another route, where you have to go Artists and Albums and then touch any one album to get into the cover flow mode as shown above. You just slide and list of songs keep on updating in lower part, press on album and it starts playing from the first song. Isn’t portrait mode bit faster than Landscape? 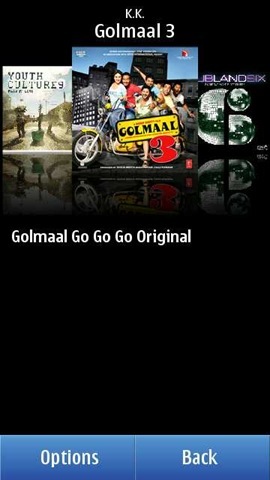 One thing about Nokia that is not getting due credits is Ovi Music unlimited, downloading free music from Ovi Music Store might not be getting such trendy in India as of now, but it will be soon at least after launch of 3G services. As usual, not only your can sort by genre, artist etc, you can get the details on the song as well. but sadly and strangely, there seems no way to search for some song. Might be a trouble, if someone has a huge collection inside their Nokia N8. I guess they will fix it by next firmware, they should. Now over DRM, it may be annoying to few that they can not transfer their downloaded music through Ovi Unlimited to some other friend via Bluetooth, but that’s the way, Music Industry wish it to be. There been some confusions due to the post from Ovi Blog, but as much tested by myself, “MP3s downloaded from Ovi Music Unlimited is not DRM free”. May be sad news for some, but that’s the way it is. 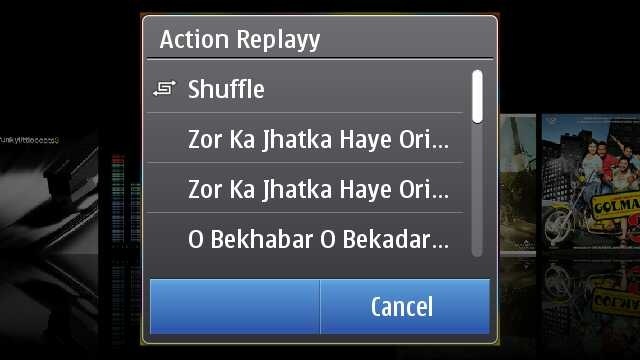 Once running, Music player keep itself connected with Volume keys means whatever might be running in front, volume keys will serve only Music player e.g. Gallery. Some readers specially asked me about the Equaliser thing, so putting it here. Though honestly speaking, I am not that advanced Music freak to fiddle much with it. There are some default presets only. Handy, but you can make a custom preset as of now. 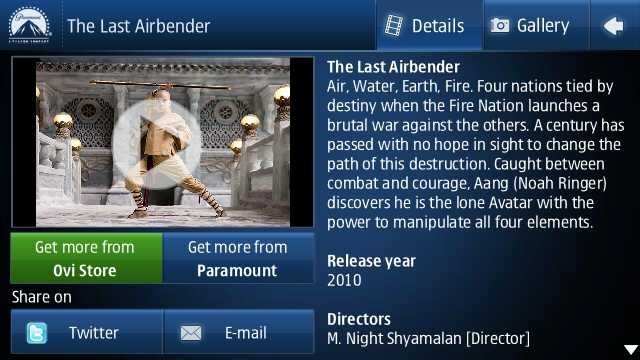 Movie player on Nokia N8 was something that cleared my dilemma of buying or not buying Nokia N8 in a blink of eye. 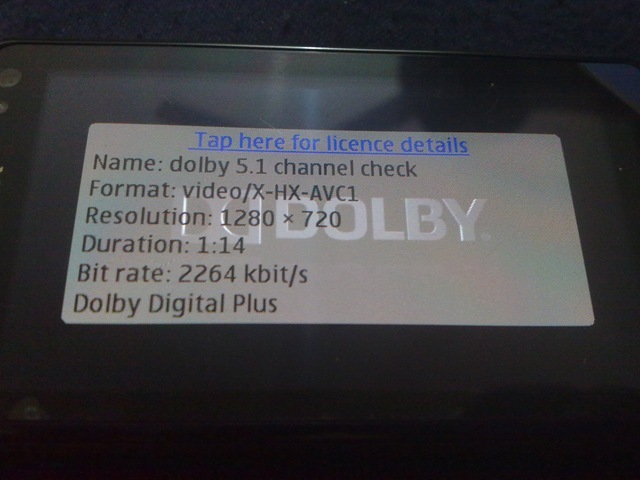 Specs will say that it supports HD videos now and you say that one more addition. But hold it, do you know how big it is. See the above screenshot, check the resolution 1280×720, check the bit rate 2264 kbit/s, this is such a video that takes more than 50 mb for just 3 mins. Do you really think that its just a simple addition? If so, then put a 2Gb BDrip file or VOB and try to forward by touch the progress bar. Its almost instant and now go to your PC with 2Gb or more RAM and then try the same on your VLC player with same video. Did you thought mobiles are always less performing that computers? Think again. But HD video was not the part that won me, it was the support to multiple formats. Even if it was not clearly mentioned on specs, it plays all your Xvid/ Divx/ Mkv/ mp4/ WMV/ 3GP/ H.264 formats, which covered almost 80% of my legendary collection of movies. What else would I wished for? Addition of USB on the GO means I could try any video instantly after borrowing some from PC of a friend. Though true, its not a fool proof setup. There were some videos, special dual audio ones which will play without voice on it. There might be some strange or corrupted format that the video player of Nokia N8 cant deal with the way any VLC player of your PC does. There is no subtitles files support either (you can merge subtitles in movie file though via third party apps and play then), neither audio switcher if you are playing some dual audio file. But hey!! are you talking about some media player on PC, its just a mobile. 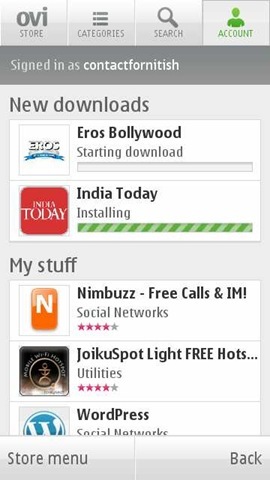 As of now, its a state of art best possible media support among the leading smart phones out of the box, not only Nokia. Yes! out of the box. 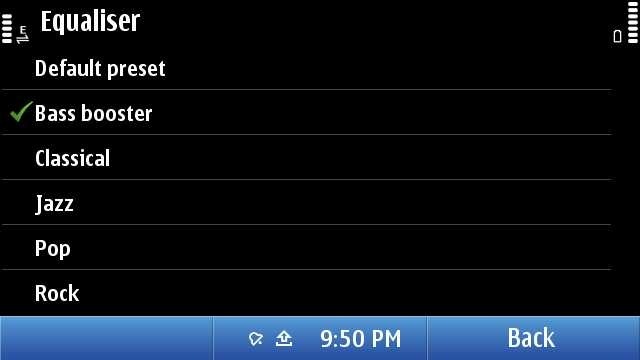 You don’t need to install any core player, any smart movie player, you don’t need any converter on your PC to convert files for your Nokia N8. Just touch the file and it is. That’s how it changes everything. I was in a train journey and the above was my complete setup for the theater experience. 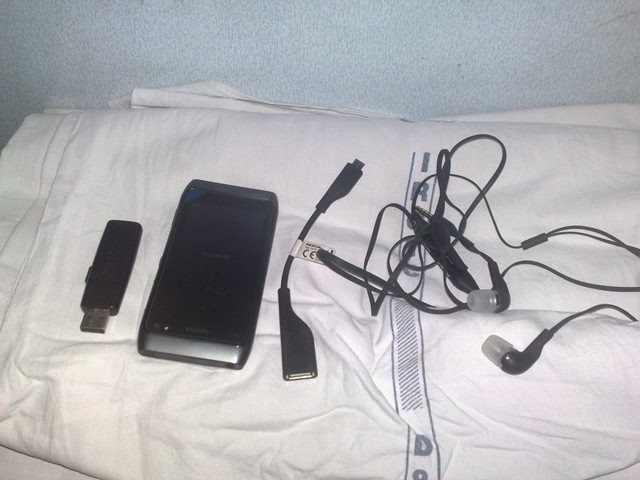 Movie files if not in your Nokia N8, then USB OTG cable and a flash drive.. then those stereo headphones that come shipped with Nokia N8. That’s it. 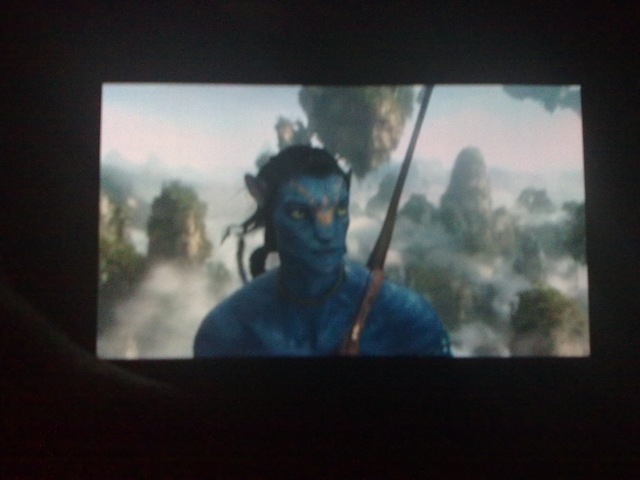 It was hard to take a snap of movie and forgive me for the blur here, but it was just crisp and clear as it can be. May be its asking a little too much, but there are not many advanced controls like next video, increasing brightness etc. Just a tiny set of controls which hide them smoothly within secs, when you play a video and come back again once, you touch anywhere. But each of them works perfectly. If you touch and hold forward/ reverse icons then it first goes by steps of 5 secs and then faster. Aspect ratio icon changes the video to fit the screen or 4:3 or usual 16:9. And yes the player will always run in Landscape and will remain full screen always. I know it sounds weird, but I had a wild dream that what if they give a cover flow like Music player to it? I know its not practical, but I thought. Though many would be excited, when VLC arrives on symbian finally, but I would say that will also face a great challenge to meet the level of performance with Nokia one. You could understand that how big praise it is. 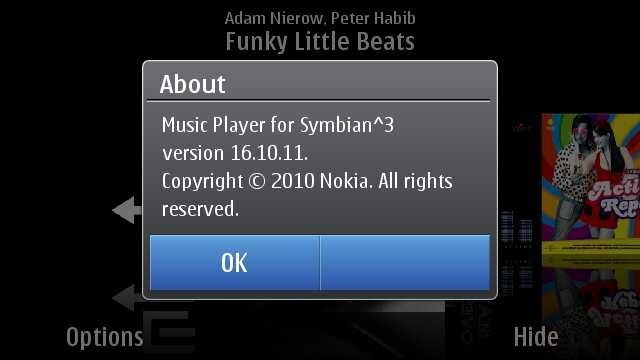 Thumbs up for the guys working for the core of Symbian. Next generation Nokia will sure will define new levels of Multimedia. Sometimes you get hands on a few things that might be ahead of its time. 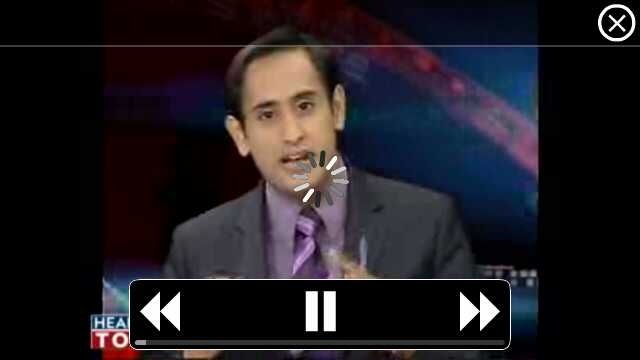 I guess Web TV is something like that for Indian Customers at least as of now, when 3G services are yet to arrive and Indian TV channels not well prepared for Web Contents in the way they should have been. When it comes to TV on mobile, then I remember my first handset ever. Reliance Moon Light in 2004 that was an entry level LG Handset that was bringing some B/W TV content over CDMA. Definitely, I was expecting to see something like that here. But phones have changes a lot till now. 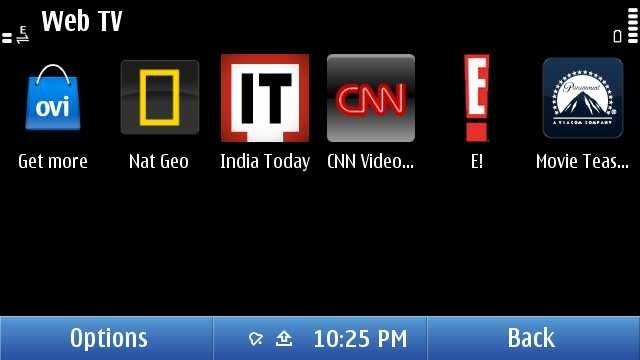 There is a Web TV Folder, which by default will carry above 6 icons representing 5 Web TV channels and one shortcut to Ovi Store. Unfortunately, some mismanagement here too. If you install a new one, then by default it seems to be going to Application folder rather than Web TV one or may be I might be messing up with something. There are not much Web TV apps as of now. I seen two Indian names and downloaded them. Well.. I should say that they are not coping well. The apps are poorly made and neither are they service good quality video contents. And let me remind you, you better have a 3G or WiFi at least, if want an acceptable performance. Like this EROS one. Shows promise in start and then end up show not so good quality videos. 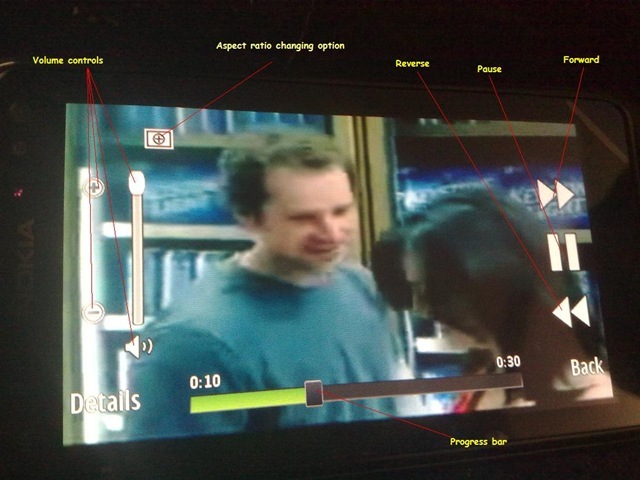 But again, its a perspective of someone, who is so used of watching DVD/ HD quality videos on his Nokia N8 now. But with next app, I find that it was just a wrong apple. 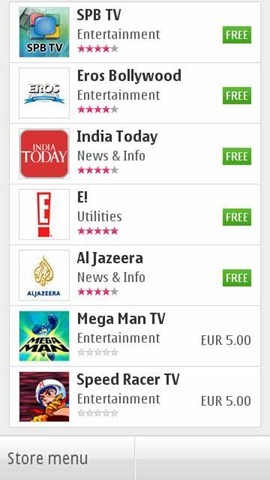 This time, its app from India today. Not a great navigation again, but sure, a better UI. 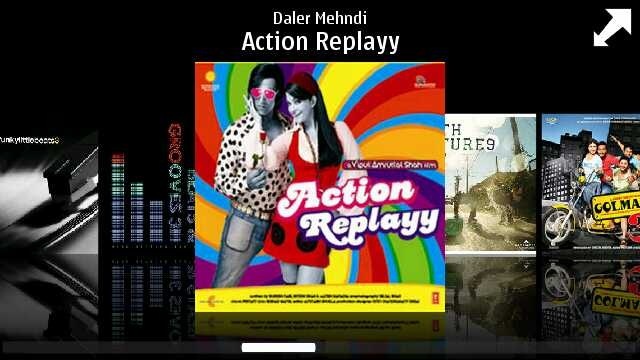 I noticed one thing that all of them not using the default player of Nokia, but emulating of their own. Kind of strange to me as I expected the player to be same throughout. While Nat Geo, CNN etc had good quality video stuff with them (not sure how current the content was), the best UI I found with Movie Teaser app. This sure seems to be designed for touch with Cover flow (that’s what I was talking about default Movie player). Not only UI is great but quality of videos too and this is one of those Web TV apps that like to play the videos in full screen with fit to screen mode. Not only that but it brings some basic level info as well about the movie of course. So, in all I must say, its a great move and wish that Indian channels and others may adopt it more quickly to make it worth rather than making people watching irrelevant contents from English channels only. The world changes from here. 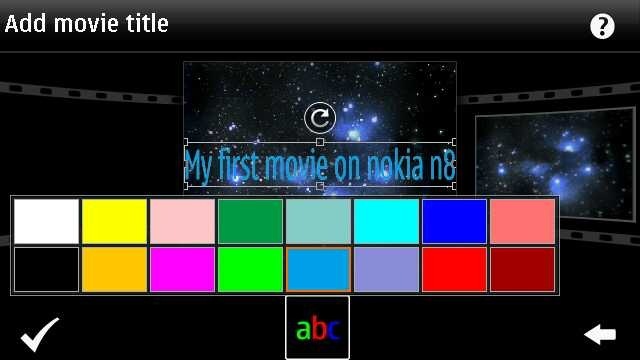 Big bloggers and experts will say that Nokia did just the same like iMovie of Apple, but its lot bigger than that. First its free of cost, second its shipping with Nokia N8 that still costing half of the price of iPhone 4G. Point is… its gonna reach much more hands than it ever would have with some pricy Apple. Its gonna bring Video editing in hands of people, who would never experienced it ever before, not even on computers. And believe me, their start would be much more awesome than even the people who might consider themselves expert of movie editing now. Let’s start with the simple option, creating a slideshow. You remember all the old Nokia phones were shipped with a Slideshow mode of showing pictures, we are not talking about just that. We are talking about creating a actual movie out of your chosen snaps and with different effects to choose from. Sure its one of the most fun stuff on Nokia N8 and could keep you busy for hours if you had many awesome photos inside your Nokia N8 (who wont have) and its very pleasing that the design team behind this did a great job. Not stupid like you choose some pics and then choose some effect and then if not liked output then do whole thing again. You choose pics one and then could go for previewing it with each of the effect almost instantly. Either selecting media or inserting pics or it might be adding movie title (overlay text), everything seems to be so perfect and I would say people should try it by their own hands to see how fast it is. Making full use of hardware acceleration and GPU, it sure will bring those Androids without GPU out of water on this. 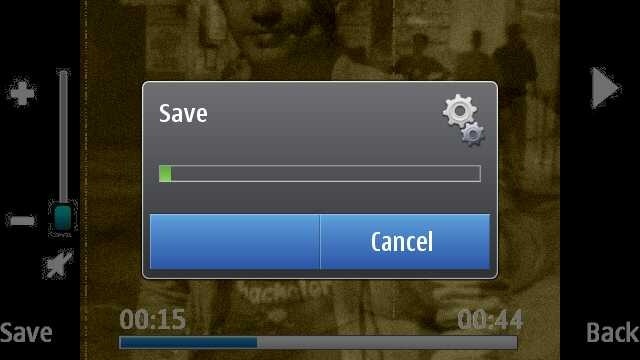 Not only that the speed to saving the final video is awesomely impressive. Oh.. the output? Here it goes. 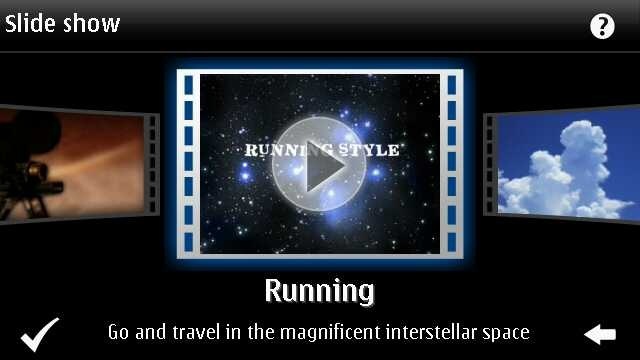 With Video editor, its the same awesomeness. Not only you can crop your videos in length, but could insert your own tracks and overlay effects in between when joining two videos. Most amazing part of it remains the speed. I never seen any of my phone going this much fast and even no desktop software handling video editing with this much ease let alone mobile aside. So intuitive .. so smooth .. In the above video, I just added two videos in one. There is a lot more one could do with them like we seen in Slideshow. This went long na.. I feel the same. Hope will be back soon with my review over Gaming part with big titles. Be tuned in and keep writing to me that what more you want me to write on. Nokia N8-00 still has more to write on… just I wish I would have had my hands on Nokia C7 as well to know that what’s more special: Nokia N8 or Symbian^3?